Simply stated, pavement preservation strategies can save money in maintaining an agency’s highway network. Today, instead of individual projects and pavements, the focus is on sustaining infrastructure through whole-life investments and quantifying risks. Pavement preservation plays a key role in managing pavement systems in these whole-life programs. For the past two decades, pavement preservation concentrated on doing projects with the “right treatment on the right road at the right time” mantra. This resulted in a substantial body of evidence that these treatments work when properly applied. Now, many agencies are considering preservation as an essential strategy for managing pavement networks. In doing this, the focus is not on projects and how long a treatment might add to a project’s life. Instead, agencies look at the network, the age and condition of the pavements, and the amount of preservation appropriate to minimize overall costs. They also consider the risk that not doing enough preservation can end up being more costly. Agencies have experience with preservation treatments and can tabulate the costs and expected impacts from using them. Each agency also can predict the need for preservation treatments from the age, condition, usage, climate, and other factors unique to sections of the pavement network. The EDC-4 pavement preservation initiative helps agencies pull together the information for their networks and identify strategies that take whole-life costs into consideration. In EDC-4, 16 States and the U.S. Virgin Islands plan to demonstrate and assess the “when and where” component of pavement preservation. Another 27 States and Federal Lands Highway (FLH) expect to make it a standard practice to manage pavements proactively to preserve highway investments. Eleven States, Puerto Rico, and the U.S. Virgin Islands plan to demonstrate and assess the “how” component of pavement preservation in EDC-4. Another 30 States and FLH plan to institutionalize the use of quality construction and materials practices to preserve pavements. From 2007 to 2012, the Kentucky Transportation Cabinet embarked on a process of diamond grinding—a treatment that corrects surface imperfections in pavements—for all 536 State-maintained lane miles of concrete pavement. The program reduced the average International Roughness Index (IRI) value—a method used to measure ride quality or comfort—from 112.1 to 74.5 over the 5-year program. The cost of the program was about $100 million, but the comparable cost of non-preservation treatments to achieve the same IRI values would have been in excess of $1 billion. Applying a pavement preservation treatment at the right time on the right project with quality materials and construction is a critical investment strategy for optimizing infrastructure performance. The North Carolina Department of Transportation (NCDOT) has a long-standing chip seal program and has invested heavily in measuring performance, improving specifications, and training the workforce. Of NCDOT’s 60,000 miles of paved secondary roads, about 44 percent have been treated with a chip seal, a surface treatment that combines layers of asphalt binder and aggregate. The average cost of a chip seal treatment is $25,000 per lane mile, compared to $100,000 per lane mile for a traditional 1.5-inch mill-and-overlay project. By ensuring proper construction techniques and materials are used on chip seal projects, NCDOT is able to treat significantly more lane miles of paved roadways in a year than it could with a traditional mill-and-pave program. The Washington State Department of Transportation (WSDOT) has a strategic maintenance policy under which $13 million applied to 3,500 lane miles between 2009 and 2015 resulted in $15 million in annual savings by delaying major resurfacing projects. In 2014, WSDOT implemented a policy that requires at least one maintenance treatment before a capital rehabilitation or resurfacing project can be programmed. 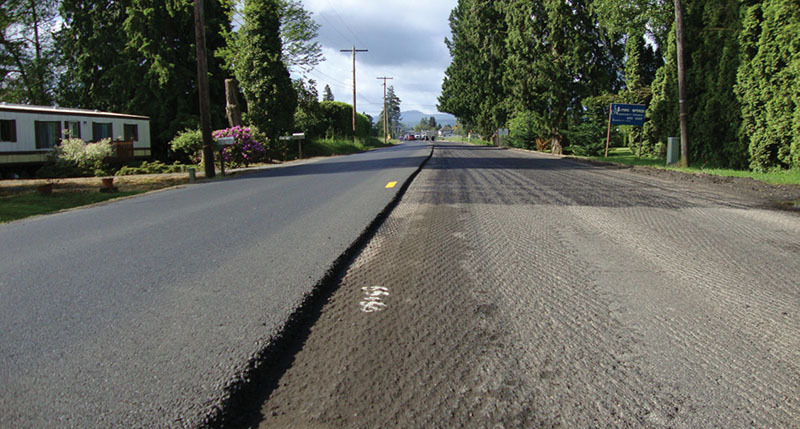 WSDOT found that when a chip seal is applied at the right time, the cost is 20 percent of the cost of asphalt resurfacing and 30 to 40 percent of the life-cycle cost of asphalt resurfacing. Because of that, WSDOT applied 1,500 lane miles of chip seal conversion between 2010 and 2015. The agency plans to convert at least 1,500 lane miles more over the next 10 years. WSDOT estimates that applying preservation strategies to its network will save the agency $80 million a year through 2025. That comes from an estimated difference between $324 million as an average annual network cost baseline and a $244 million average annual network cost with preservation strategies applied. For an overview of the innovation and how States are using it, watch the EDC-4 summit sessions on pavement preservation: when and where and pavement preservation: how. For information and technical assistance on the when and where component of pavement preservation, contact Thomas Van or Steve Gaj of the FHWA Office of Infrastructure. See the FHWA Asset Management Web page for resources. For information and technical assistance on the how component of pavement preservation, contact James Gray of the FHWA Office of Infrastructure. Visit the FHWA Pavement Preservation Web page for resources. 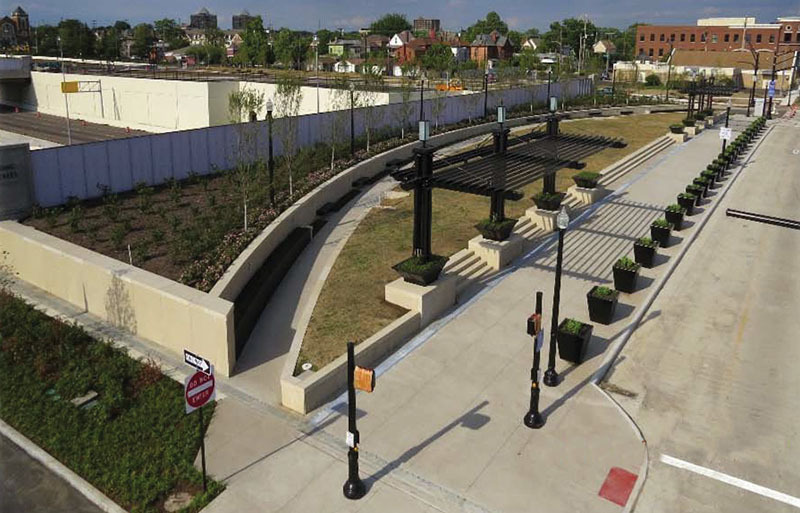 When the Ohio Department of Transportation (ODOT), city of Columbus, and Mid-Ohio Regional Planning Commission rebuilt the Long Street Bridge over I-71, they used a community connections approach to enhance downtown access for residents of the King-Lincoln neighborhood. The new bridge includes wider sidewalks and bike lanes to make crossing the bridge easier and a parklike cap to accommodate community gatherings and business development. It also features a cultural wall—the first of its kind on an ODOT project—that celebrates the community’s history and shields the view of the new I-71 lanes beneath the bridge. The new Long Street Bridge provides green space for community events and improves pedestrian passage over I-71 to downtown Columbus, OH. Part of Every Day Counts round four (EDC-4), the community connections initiative focuses on retrofitting, rehabilitation, and removal options that turn aging infrastructure into opportunities for reestablishing community connections and cohesion. Historically, many communities were divided by transportation infrastructure. Over the years, this resulted in economic, social, and mobility challenges, including poor access to essential services such as jobs and health care. “With much of our aging transportation infrastructure in need of replacement, now is the time to promote innovations to create better connected, stronger communities,” said Kenneth Petty, director of the Federal Highway Administration Office of Planning and a leader of the EDC-4 team championing community connections. FHWA is encouraging transportation agencies to adopt approaches for planning, designing, and building projects that enhance connectivity, revitalize communities, and improve public health and safety. Community connections strategies and tools can help agencies identify gaps and work to ensure that all users have access to safe, reliable, and affordable transportation networks. During EDC-4, 14 States plan to demonstrate and assess community connections approaches to enhance their transportation networks. Another 13 States and Washington, DC, plan to make community connections a standard practice. Strategies practitioners are using to connect communities and retrofit transportation infrastructure include analytical tools, public involvement techniques, planning and design approaches, and construction processes. Among the analytical tools in the community connections toolbox is PlanWorks, a Web resource from FHWA that supports collaborative decision making in transportation project planning. Agencies are also using geographic information system technology to evaluate transportation infrastructure assets, demographics, and community impacts such as access to services. Assessments conducted under the Safer People, Safer Streets initiative help States and communities understand obstacles and safety issues in the road, bicycle, and pedestrian infrastructure. Public involvement strategies enable agencies to communicate with the public about transportation changes that will affect their communities and get input on design plans. Using visualization techniques such as maps, videos, and 3D renderings helps project teams convey challenges and solutions more clearly. Agencies are modifying traditional project planning and design with approaches such as scenario planning to test alternatives and develop a shared vision for the future and context-sensitive solutions that involve all stakeholders in planning transportation facilities that fit their setting. Performance-based practical design helps agencies better manage transportation investments with limited resources. “It emphasizes a renewed focus on scoping projects to stay within the core purpose and need,” said Robert Mooney, FHWA Preconstruction Team leader and a leader of the EDC-4 team on community connections. “All of these strategies come together to form a comprehensive approach to redevelopment that will lead to achieving the goal of community connections,” said Harris. Watch the EDC-4 summit session on community connections approaches. Learn more about Ohio’s Long Street Bridge project and cultural wall. Contact Kenneth Petty of the FHWA Office of Planning, Environment, and Realty or Robert Mooney of the FHWA Office of Infrastructure for information and technical assistance, including workshops and peer exchanges on community connections. Expanding the use of e-Construction and 3D engineered models and fostering a continuous improvement culture are among the ways the highway community is using State Transportation Innovation Council (STIC) Incentive funds to mainstream innovation. 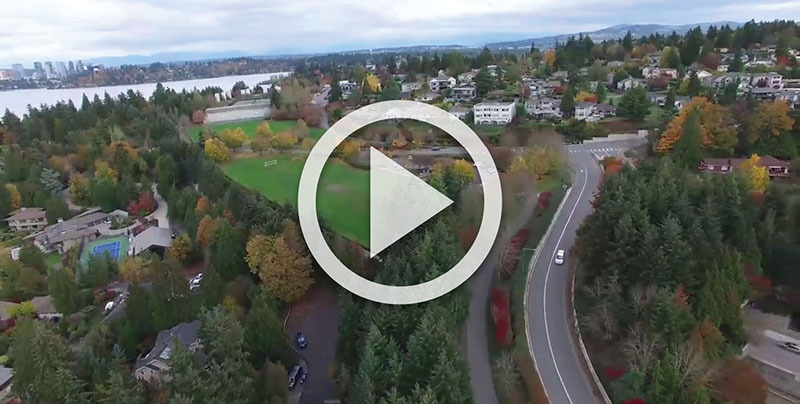 “Power of the STIC—Working In Our States” is one of five videos in FHWA’s new STIC series. Now in its fourth year, the Federal Highway Administration’s STIC Incentive program offers up to $100,000 per STIC per year to support the costs of standardizing innovative practices in a State transportation department or other public sector STIC stakeholder. STIC Incentive funds enabled the Connecticut Department of Transportation (CTDOT) to expand the use of mobile devices, one of the tools in the agency’s e-Construction program. Using mobile devices allows field staff to access CTDOT’s construction reporting system and other resources while at jobsites, reducing project startup times and travel costs and increasing productivity. When CTDOT surveyed users of the mobile devices, the majority of respondents indicated the devices provided mobility and productivity benefits and aided them in performing their job duties. CTDOT used the survey data to evaluate the hardware and software so adjustments could be made to improve user experiences in the future. The use of mobile devices in Connecticut also improved the document routing and change order approval process. The traditional method of mailing change orders for signature took about 30 days to complete, while using mobile devices in conjunction with CTDOT’s e-Construction program cut approval time to an average of 2 days. The Utah Department of Transportation (UDOT) used STIC Incentive funds to develop guidance on delivering 3D engineered models as the contract document on construction projects, part of the agency’s Intelligent Design and Construction (IDC) effort to move to a full 3D project workflow. UDOT piloted IDC on a project to add a passing lane on State Route 20 that used the construction manager/general contractor delivery method to obtain contractor input during the design phase. This delivery method enabled UDOT to develop electronic 3D models the contractor used instead of paper 2D models to construct the project. UDOT gathered lessons learned from deploying 3D models on the S.R. 20 and other pilot projects and is using them to refine its IDC process, with a goal of increasing quality and streamlining the delivery of highway construction projects. On another project, UDOT used STIC Incentive funds to build a database to house standardized 3D data on utility infrastructure in agency rights-of-way. The database provides access to information UDOT staff and partners can use for design, construction, operations, and maintenance activities around utilities. UDOT expects using the 3D utility database to reduce duplication of effort, enable better coordination between UDOT and stakeholders, enhance damage prevention, and improve worker and public safety in UDOT rights-of-way. The Vermont Agency of Transportation (VTrans) used STIC incentive funds to build a staff network skilled in Lean, an approach that focuses on enhancing customer value through improved process efficiency and service excellence. The training enabled 241 VTrans staff members to learn Lean concepts and tools. Many pursued additional training levels, or “belts,” to learn how to apply Lean tools to actual work processes, identify new project opportunities, and educate others about Lean concepts. 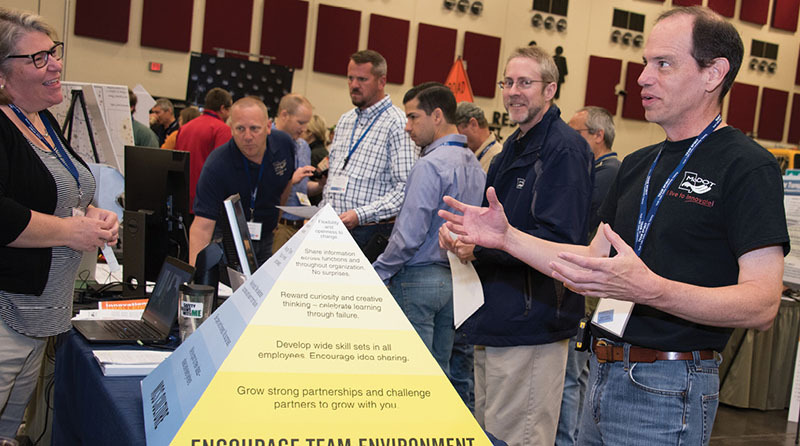 The Lean training program complements the VTrans initiative to foster a culture of continuous improvement, an effort to make incremental improvements to products, services, and processes over time. Next steps for VTrans include encouraging staff to use the lessons learned in the Lean training in their everyday work, strategically identifying process improvement initiatives, and continuing to build a continuous improvement culture. Visit the 2017 STIC Incentive Projects Web page to see how States are using this year’s funds to standardize innovations. Contact Sara Lowry of the FHWA Center for Accelerating Innovation for information on the STIC Incentive program. State Transportation Innovation Councils (STICs) bring together public and private transportation stakeholders to evaluate innovations and spearhead their deployment in each State. STIC members consider new technologies and processes from many sources, choose those that fit the State’s unique transportation program needs, and work together to put the innovations into practice quickly. View the Federal Highway Administration’s “Power of the STIC” video series to learn how the national STIC network, local public agencies, State transportation departments, academia, and industry collaborate to accelerate innovation across the country. Much like the World Series features the best teams in baseball, the Missouri Department of Transportation (MoDOT) has an annual competition—the Innovations Challenge Showcase—to honor their greatest teams in innovation. Since the showcase began in 2007, 1,500 MoDOT employees have competed in eight regions for a chance to play at the State level and win $500 in take-home cash. The prize doubles to $1,000 if the innovation relates to work zone safety. There is also a $10,000 group prize to a division or district in the form of discretionary funds. “Every year I think, how could we possibly have more good ideas? They’ve all been taken. But every year, I walk into the hall and say, ‘Oh my, look what people have come up with this year,’” said Chief Engineer Ed Hassinger, who shared how the showcase fosters a culture of innovation at MoDOT during a national State Transportation Innovation Council Web conference in June 2016. Each MoDOT region can choose up to 18 local, piloted innovations to compete for State recognition. The MoDOT central office uses surveys and multidisciplinary technical review committees to narrow the number from 144 to 60. The review process includes considering whether innovations meet applicable State and Federal standards, requirements, and policies. State finalists compete in one of three categories: tools and equipment, productivity, and projects. Four winners are chosen in each category. MoDOT has incorporated 56 of this year’s 60 showcase innovations into some level of best practice (local, regional, State). The showcase started as the Tool and Equipment Challenge in 2007 and recognized 20 maintenance and tool innovations from around the State. In 2012, MoDOT added the Innovations ProMO Challenge, a companion program that focused on State efforts to improve processes, develop products, and implement innovations in other business areas. In 2013, the two challenges were combined in the Innovations Challenge Showcase, becoming the program it is today. 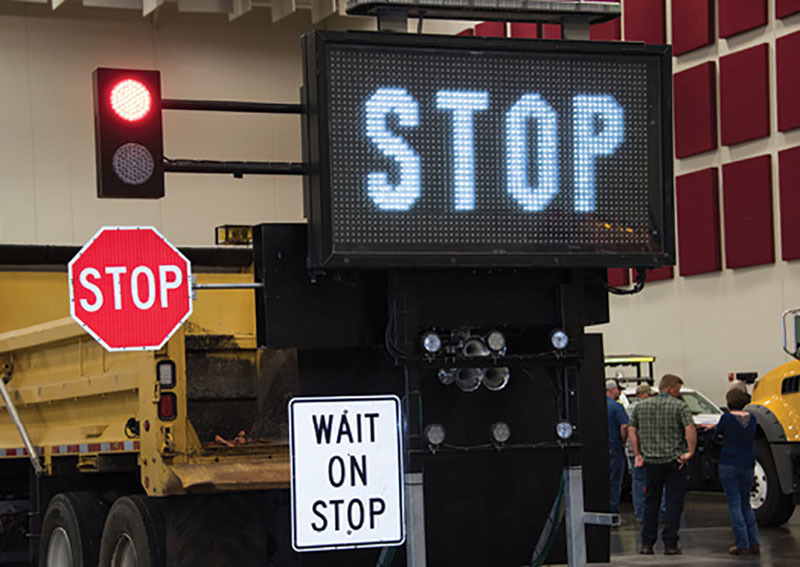 David Eppright, Kansas City District maintenance supervisor, helped develop the TMA Flagger, a truck-mounted attenuator that is modified to allow a driver to remotely operate a stop-slow paddle, digital message sign, and panic air horn from the safety of the truck’s cab. “We wanted to come up with an idea to be able to control traffic without using a human flagger on the road,” said Eppright. MoDOT worked with the Federal Highway Administration to determine that the TMA Flagger meets applicable requirements for an Automated Flagger Assistance Device in the Manual on Uniform Traffic Control Devices. MoDOT is now working to have the TMA Flagger crash tested. MoDOT Transportation Planning Coordinator James Dickson said you don’t have to be a home run hitter to make a difference for your team. Other agencies want to get in on the game, too. 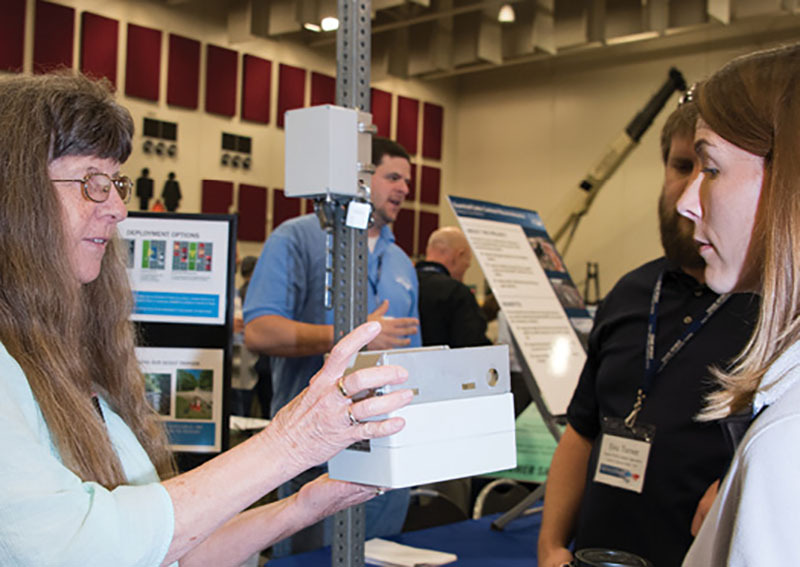 Representatives of the Louisiana Department of Transportation and Development (LADOTD) and Illinois Department of Transportation traveled to Missouri to see the MoDOT showcase firsthand. “We were very impressed with the quantity and quality of the innovations,” said Kevin Reed, maintenance systems administrator at LADOTD. He hopes to have something similar up and running in his State by 2018. For information on the showcase, contact James Dickson at MoDOT. Senior Traffic Technician LeAnn Blankenship (left) demonstrates the Armadillo, which mounts on a sign post to detect vehicle speeds safely. The TMA Flagger is operated from a truck cab, eliminating the need for a human flagger on the road. View a video on the TMA Flagger, a tool designed by a MoDOT maintenance team to improve road crew safety. Which States are applying new technologies and practices on Accelerated Innovation Deployment (AID) Demonstration projects? How are States using the State Transportation Innovation Council (STIC) Incentive program to make innovations standard practices? Whom can you call to learn about a State’s experiences using an innovation? 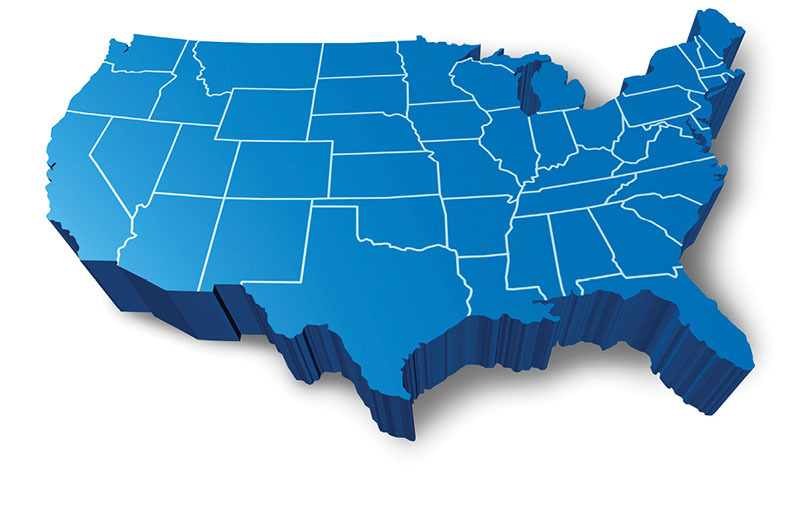 The State Innovation Accomplishments map—a new information source from the Federal Highway Administration’s Center for Accelerating Innovation—provides the answers to these questions in one convenient place. Use the map to explore how States across the country are using proven innovations to enhance projects and processes and improve the management of their transportation programs. Click on a State for details on STIC Incentive and AID Demonstration projects, innovation deployment examples from articles and reports, and STIC network contacts. The Idaho Transportation Department (ITD) provided a 3D engineered model to contractors during the bidding of the I-20/Thornton Road interchange project and saved the State at least $450,000. Using 3D also shortened project delivery time by one construction season. The project used wireless detection to enhance traffic flow through the construction zone. A 360-degree camera and three stationary cameras were used to monitor build progress. ITD credits Every Day Counts for helping States deploy 3D engineered models and improve collaboration with contractors. The Pennsylvania Department of Transportation is using the design-build project delivery method on an I-70 project in Westmoreland County. Design-build projects result in greater flexibility, efficiency, and schedule control than on projects delivered with the traditional design-bid-build method. The Pennsylvania State Transportation Innovation Council (STIC) is spearheading the demonstration of a traffic control initiative for design-build projects, such as the I-70 project, which allows contractors and designers to work together on traffic control plans. The Pennsylvania STIC is seeking additional pilot projects. An Accelerated Innovation Deployment Demonstration grant is helping the Tennessee Department of Transportation (TDOT) promote the use of advanced laser-based metrology and 3D modeling to accelerate fabrication of steel bridge girders. The laser-based approach measures the field-spliced ends of the girders in three dimensions with great accuracy. The splice plates are then modeled and fabricated using this information, saving time and money over traditional approaches. TDOT partnered with the University of Tennessee to document the process and develop specifications for using the technology on future projects. The Utah Department of Transportation (UDOT) shared its experience using smarter work zone technology with transportation agency peers from about 10 States at a Salt Lake City event in June. UDOT is using a portable variable speed limit system to manage work zone traffic in real time on pavement resurfacing projects on I-80 near Wendover and I-15 near Tremonton. UDOT staff discussed the agency’s process in developing the system, technical aspects of system operation, and details on field deployment in combination with standard signing. At a site visit, participants observed the system at the I-80 work zone. 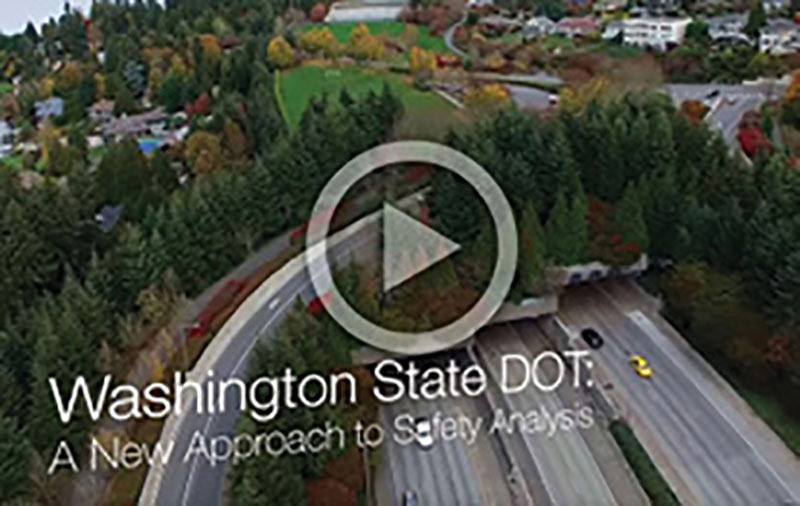 Two videos highlight the Washington State Department of Transportation’s (WSDOT) use of data-driven safety analysis (DDSA), the application of the latest generation of tools to analyze crash and roadway data. “A New Approach to Safety Analysis” highlights how WSDOT is incorporating safety performance in its project development process and throughout the organization. 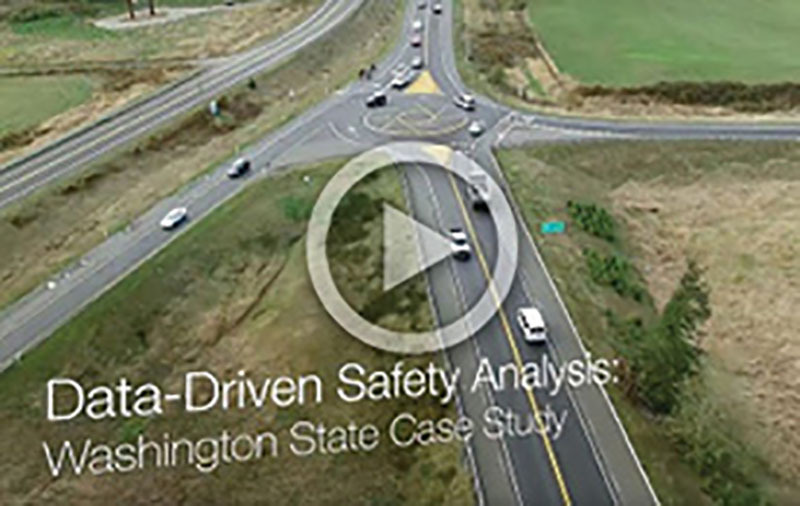 “Washington State Case Study” shows how a team of transportation agencies used DDSA tools to customize three compact roundabouts at a busy interchange. The analysis saved millions of dollars without compromising the safety of the intersections.